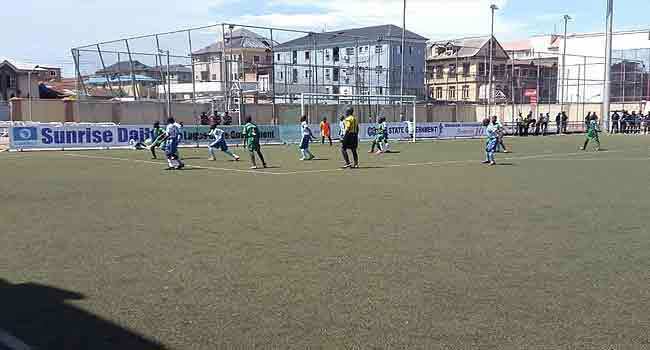 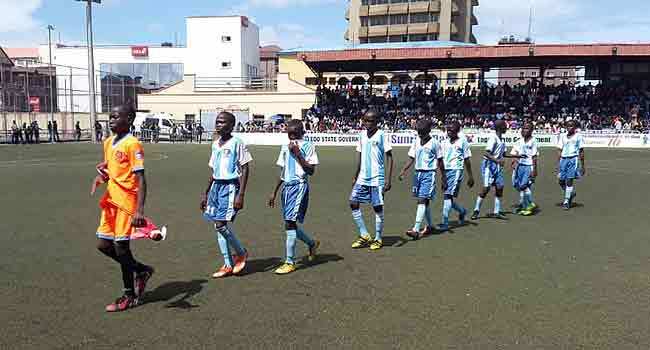 The 2018 edition of the Channels International Kids Cup came to a close in Lagos State on Sunday with an intriguing final. 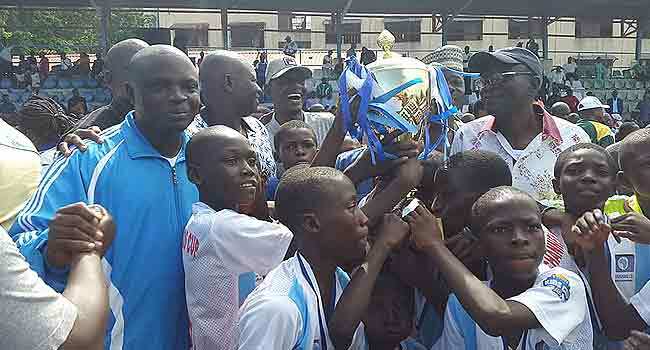 LGEA Central Primary School from Kwara State built on their impressive display from the knockout stages to emerge winner of the keenly competitive tournament. 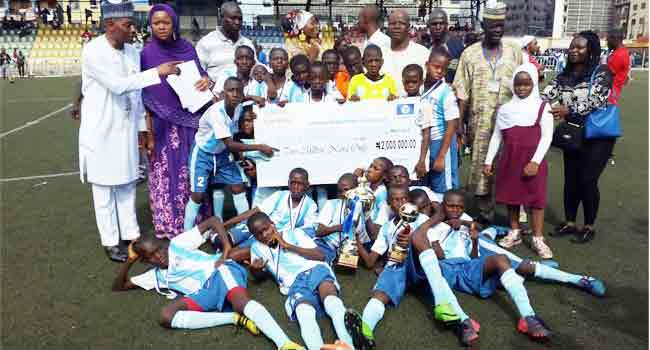 The team smiled home with the cash prize of N2 million after beating Baptist Primary School from Osun state by 3 goals to 1. 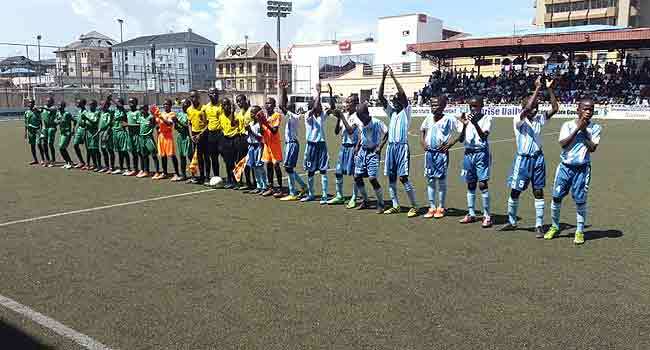 Of the 16 primary schools that began the journey, only the teams from Kwara, Osun and Ekiti made it to top three. 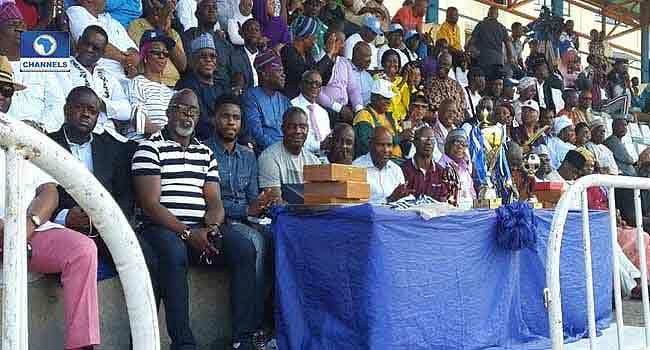 Thrilled by their outstanding performance, Lagos State Governor, Mr Akinwunmi Ambode, rewarded the teams with a sum of N5 million. 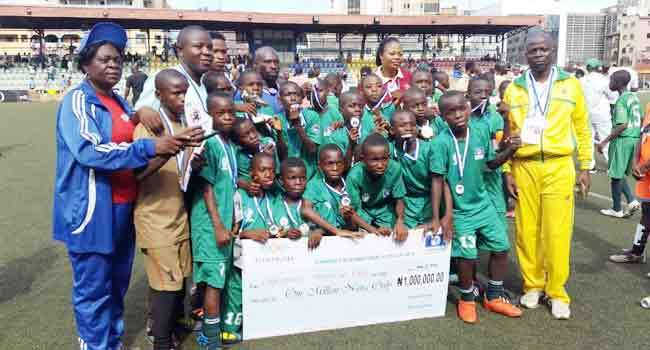 Baptist Primary School, which took second place were given N1.5 million while Emmanuel Anglican Primary School in third place received one million Naira. 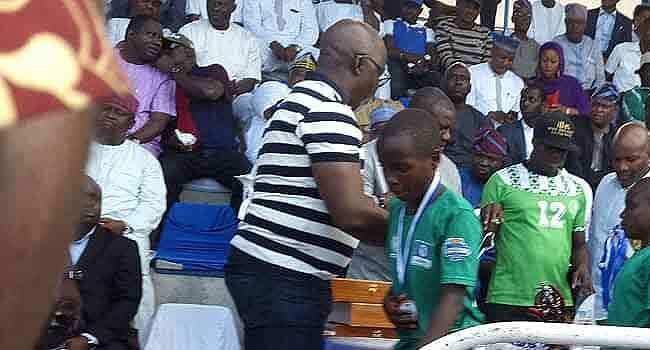 X-planter Private School from Lagos who finished 4th position were not left out as the governor donated a sum of N500,000 to them. 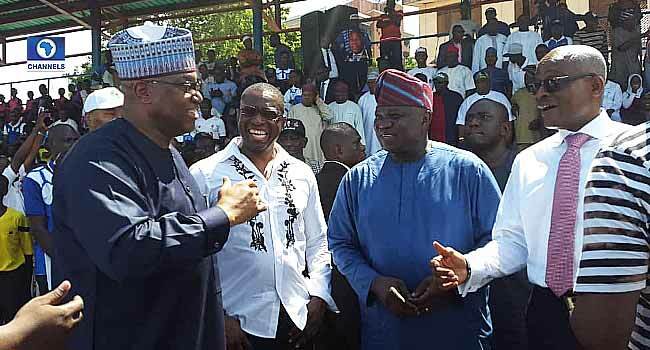 Governor Akinwunmi Ambode (3rd Left) gestures with the Chairman/CEO of Channels Media Group, Mr John Momoh (L) as other officials watch. 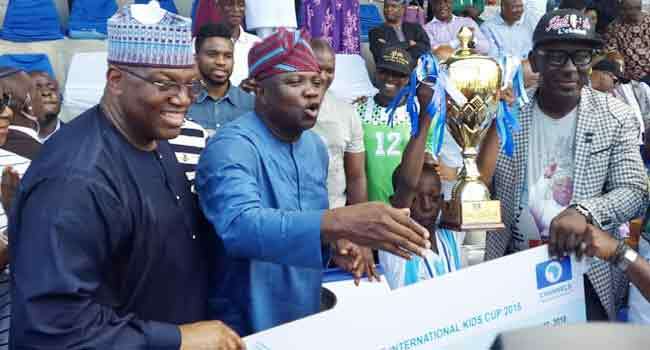 Chairman/CEO of Channels Media Group, Mr John Momoh, Governor Akinwunmi Ambode, Vice Chairman of Channels Media Group, Mrs Olusola Momoh, and others at the Channels Kids Cup Final at Campos Square on Sunday. 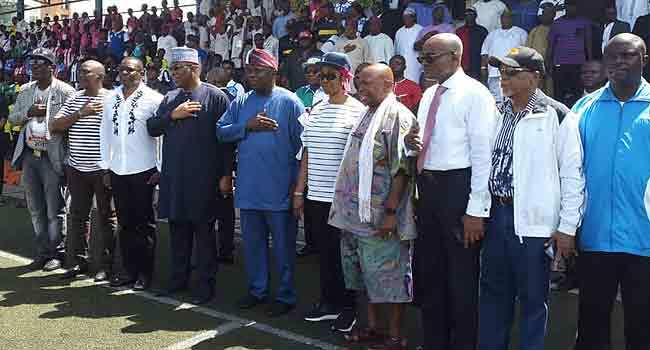 Nigerian Football Federation (NFF) President, Amaju Pinnick; former Super Eagles Captain Joseph Yobo; Former Coaches of Super Eagles, Samson Siasia and Austin Eguavon; Former Super Eagles Midfielder, Mutiu Adepoju and others at the Channels Kids Cup Final at Campos Square on Sunday. 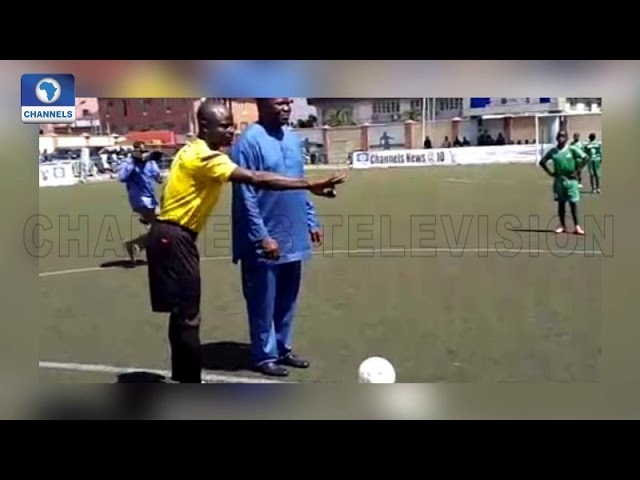 Governor Akinwunmi Ambode kicks the ball to commence the match. 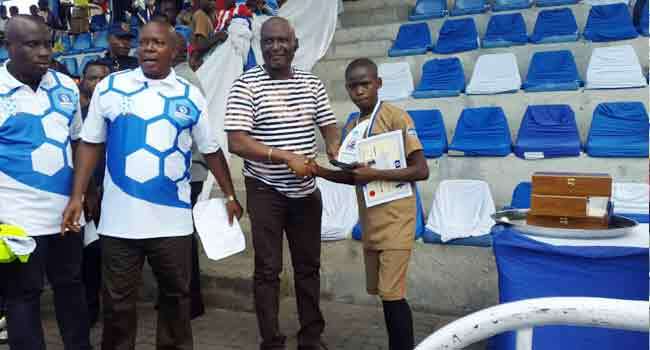 Winner of the Channels International Kids Cup, LGEA Central Primary School from Kwara State, pose with their Two Million Naira open cheque awarded them by Governor Akinwunmi Ambode. 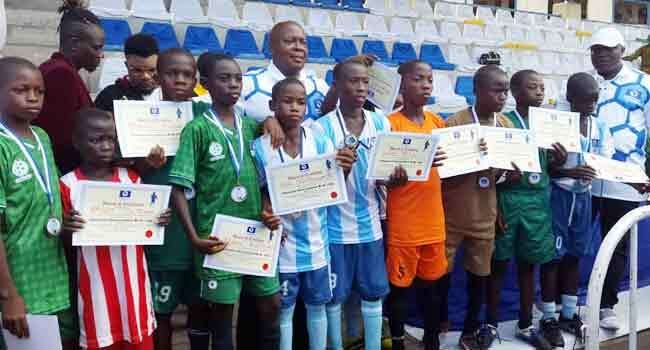 Victorious LGEA Central Primary School from Kwara State in a group photograph with their certificates.